In an attempt to use up left-over cranberry juice, and because we had relatives visiting who we knew were unlikely to want to drink alcohol, we made this mocktail. 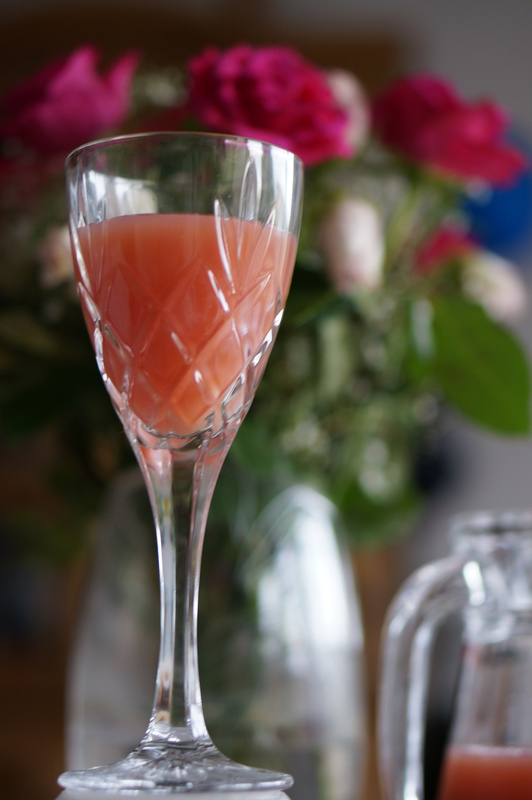 A combination of cranberry juice, apple juice and orange juice, it’s tastes just like it sounds. Which wasn’t great news for me, as I’m not a massive fan of either apple juice or cranberry juice. It just all tasted a bit too sweet for my liking. Thankfully, the other 7 people drinking it seemed to enjoy it a lot more, so there weren’t too many problems filling off a pitcher of this. 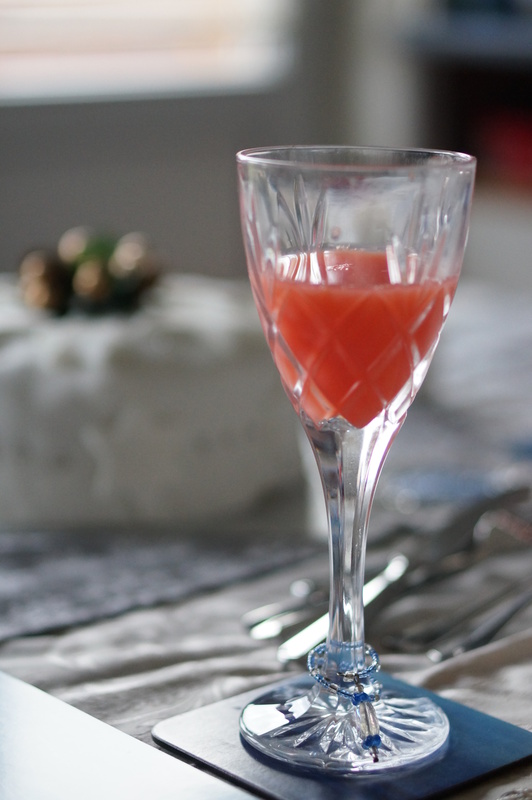 This cocktail recipe comes from Nigella Christmas, which shows. 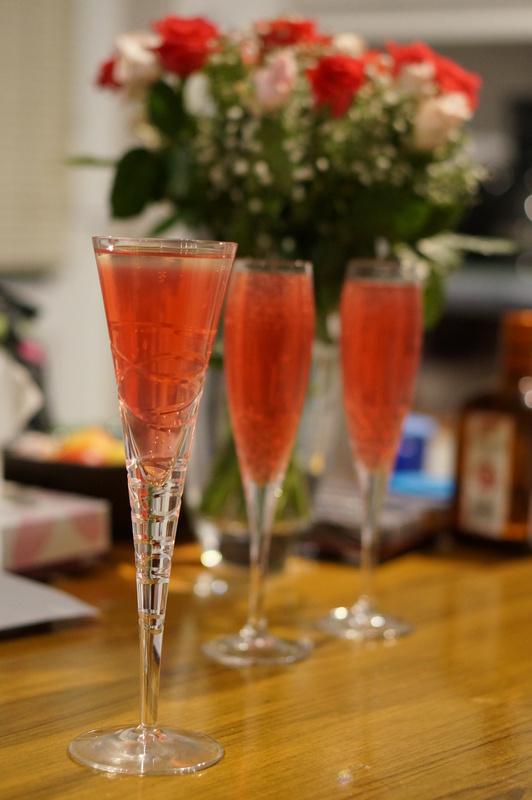 To make more than you probably need, take 1 bottle of Prosecco (or other fizzy wine), add 125ml of Cointreau (you can use Gran Marnier but Cointreau is best) and 500ml of cranberry juice. Then mix and drink. 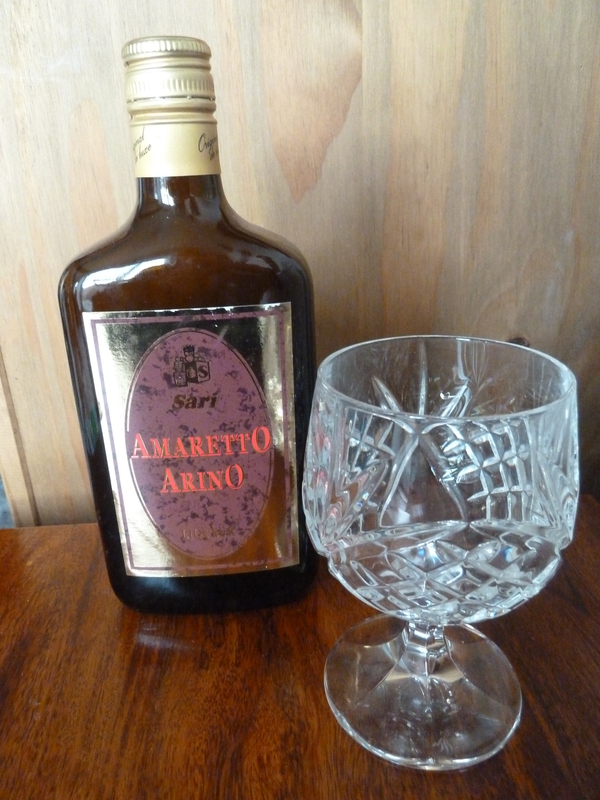 Five people tried this and all agreed universally that it was really rather tasty. The dryness of the Prosecco counteracts the sweetness of the Cointreau, making the whole very easy to drink and full of flavour. Highly recommended. Recipe: Nigella Christmas, page 3.